What are the main failures of the brake? 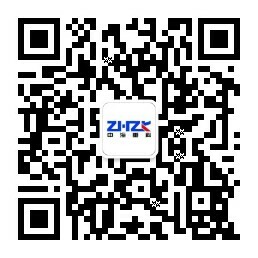 The products of Zhonghai heavy industry brake manufacturer are well sold all over the country. For a long time, the products of China CITIC Machinery Group Luoyang mining machinery factory are exported, and foreign experts have been identified by foreign experts in the key project of the national key project of Xiaolangdi Dam gate. We serve dozens of large enterprises and thousands of small and medium-sized enterprises in China, involving mines, machinery, metallurgy, lifting, electricity, railways, water conservancy, ports, wharves and chemical industries. Hydraulic push rod brake is widely used on port doors. The reliability of brakes is directly related to the safety of people and installations, so the reliability requirements are especially high. However, at present, there are many faults in hydraulic push rod brake used by people. (1) the square coupling between the motor shaft and the impeller shaft is loosened, and the motor shaft is idle, and the hydraulic cylinder does not move. (2) the bending deformation of the push rod of the hydraulic push rod loosening device does not work properly. (3) the spring of the hydraulic push rod brake is broken, and the brake can not be closed. (4) the movable hinge points of the brake frame are jammed, and the opening and closing actions of the brakes are slow or not. (5) the movable hinge pin of the brake frame is loose, and the brake is not in place. (6) the brake belt and brake wheel wear seriously, the braking torque becomes smaller or the braking torque is lost. (7) the driving motor of the hydraulic push rod loosening phase is broken, and the motor and the loosening device do not act. The above fault directly leads to the reduction of the reliability of the lifting mechanism and the amplitude variable mechanism, especially the failure of the braking of the descent process and the increase process, which seriously endangers the safety of the production. Therefore, it is the key to improve the reliability of the equipment management and technology to improve the reliability of the lifting mechanism and the amplitude variable mechanism.